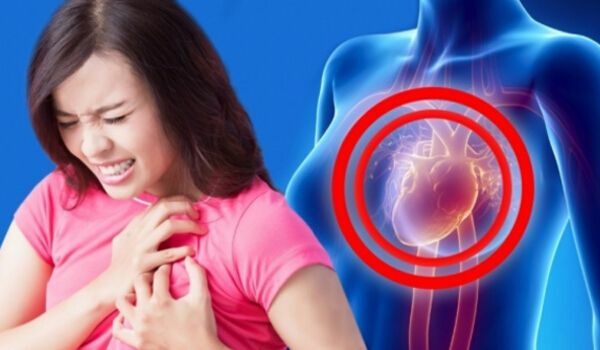 8 Warning Signs Your Body Gives You 1 Month Before Heart Attack: A heart attack happens when flow of blood to the heart is stopped. This blockage is often a build-up of fat, cholesterol and other substances which form a plaque. When the plaque breaks and becomes a clot, it interrupts the flow of blood to the heart. Unfortunately, not all the heart problems come with a clear warning. Heart diseases and strokes are the leading cause of death in many countries now days. There are many factors that contribute to this health problem such as smoking, unhealthy diet, being overweight, alcohol usage, etc. Millions of people face heart attack every day but still people are neglecting their health and risking their lives. It is considered normal to have your heart rate to increase when you are nervous or scared, however having irregular heart beat often is a sign of an upcoming heart attack. Different people have different heart attack symptoms and it doesn’t always happen in the chest sometimes it can be in other parts of body as well. Some have mild pain, other might have severe pain and in some cases people have absolutely no symptoms at all. In this scenario, prevention is the best cure. If you recognise and acknowledge the symptoms on time, there is a greater chance to avoid a heart attack. Here in this article we will discuss in details about the signs that you may observe a month before a heart attack. If you experience any of these, do not wait to get help, instead take action immediately and contact your doctor. Feeling shortness in breath and feeling dizzy are the most common symptoms of a heart attack. 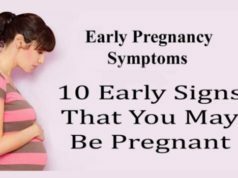 If there is not enough blood flowing through your body and you may have dizzy spells for a while which can become very uncomfortable. Shortness of breath also referred as dyspnea may occur before or during chest pain of heart attack. However, in some cases people don’t get any chest pain but they observe falling short on breath a few times. If you suddenly feel difficult to breathe, you need to have yourself checked immediately. Insomnia is linked to a high risk of heart attack or stroke. When the body is not getting enough oxygen which happens due to the blocked arteries; it leads to changes which may include irritation, anxiety, absent mindedness and insomnia. In the recent studies it was found that people who had heart attacks had trouble in sleeping and waking up early than usual one month before the attack. This is the most common sign that involves discomfort in the centre of the chest which may last for a few minutes or can go away and return after a while. People with blocked arteries feel tightness, pain and pressure in their chest. This chest pain can expand to one or both arms, jaw, neck and shoulders as well. Sweating usually accompanies a heart attack and people who had suffered a stroke describe the feeling as breaking out cold sweat. Also, excessive sweating during the day or at night is an early warning of a heart attack. People also experience other symptoms like clammy skin, sweating without any physical exertion and sweating seems to be more during the night. Skipped or irregular heartbeat is many times accompanied by a heart attack and anxiety. The irregular heartbeat may last for a few minutes and if it doesn’t go away people may feel dizziness too. This symptom is more common in women and any kind of physical exercise can increase the heart rate further. Sometimes people may experience abdominal pain, nausea, feeling bloated, indigestion and an upset stomach a month before a heart attack. The pain in stomach gives a feeling of discomfort and heaviness. This happens due to poor circulation and lack of oxygen circulating in the blood which leads to feeling of nausea and vomiting. If you have any of these symptoms which are getting repeated often, consult a doctor. Fatigue is one symptom that indicates an upcoming heart attack. People observe that they are getting tired without any physical activity or just by simple tasks. It is a way in which your body is showing that it is working harder than usual to make blood flow to different parts of the body. The lack of proper blood circulation will weaken the body. You may appear healthy but if you suffer from body weakness then it could be because the arteries are getting narrow and casuing muscle weakness. Women may experience extreme tiredness and exhaustion for days without any reason which can indicate a heart disease. Another very common symptom is upper back pain which usually happens between the shoulder blades. You may start experiencing upper back pain suddenly just a month before a heart attack. Do not ignore the feeling and get yourself checked immediately. People are risk of getting another heart attack after one and symptoms may be different at the second time. It is very important to discuss with a doctor if you observe any of these warning signs to avoid this health problem. The pain spreads between shoulders, neck, abdomen and back. Feeling of anxiety, nausea, irritation, dizziness and cold sweat. Lack of knowledge and delay in action can be fatal for your life. We hope this article has educated you with the basic idea of all the signs and symptoms that are common before a heart attack. 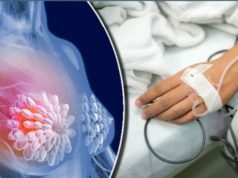 10 Breast Cancer Warning Signs Every Woman Should Know! Eat 3 Dates Daily for a Month Surprising Things Will Happen! Vitamin B12 Deficiency Symptoms Warning you should Never Ignore! What Happens To Your Body When You Control Your Breathing Every Day! 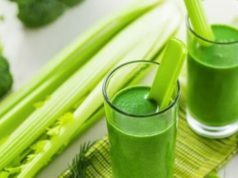 Health Obey provides best home remedies for Weight Loss, Hair loss, Pimples, Wrinkles, how to Prevent Cancer and Other Health related issues.